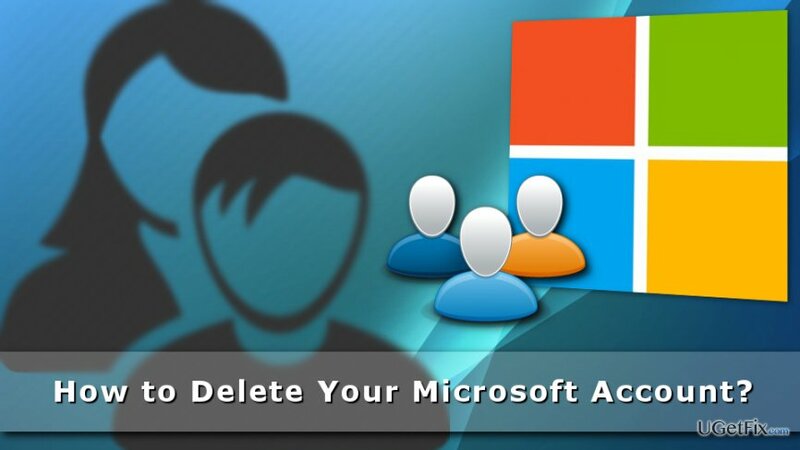 How to Delete Your Microsoft Account? Home »	Uninstall » How to Delete Your Microsoft Account? Issue: How to Delete Your Microsoft Account? I have duplicated Microsoft account. I want to remove the one I do not use anymore. How can I do it? Microsoft Account is necessary for logging in to your Windows computer, Skype, Outlook mailbox, OneDrive, Xbox Live and Windows Phone. The account also allows connecting via social networks such as Facebook or LinkedIn. However, computer users tend to create new accounts when they buy new laptops or other Microsoft products, for instance, Office. Sooner or later the time to say goodbye to an old and useless account comes. Most of the time creation of the new account is related that users forget their email and password created several years ago. Indeed, not so long ago, Skype and other services were not related, and users needed Microsoft Account only for buying or activating other company’s products. Thus, login details might disappear from the memory quite easily. The concept of Microsoft Account as we know today was introduced with Windows 8. With the release of Windows 10, Microsoft Account took over mailing services, such as Hotmail, Outlook, MSM, and others. Thus, users can log in with the same user name and password. The same situation has happened to Skype, OneDrive, Gamer Tag and Xbox Live. Therefore, removal of the Microsoft Account leads to the data loss of associated accounts. For this reason, you have to make sure that necessary information and contacts are transferred to some other place before you start the closure. Once you decide to delete Microsoft Account, you have 60 days to change your mind. For instance, if you forget to copy some important files from OneDrive or forgot to tell your Skype contacts about changed user name, you will be able to log in and reset the account automatically. 1. Go to Close your Account page. 2. Sign into your account and verify your identity by following the provided instructions. If you are already signed in, make sure that it’s actually the account you want to remove. 4. You will be redirected to the closure page. Here you have to check all the options and make sure that you have all information you need. 6. In the next page, you will see the drop-down menu. Choose the reason why you decided to delete your account. 7. Click Mark account for closure. Keep in mind that your Microsoft Account will be deleted entirely after 60 days. Thus, you will be able to log in if you change your mind. Once you sign in within two months time, your data will be restored immediately.